Hawaiian Electric was previously with another provider in Hawaii. 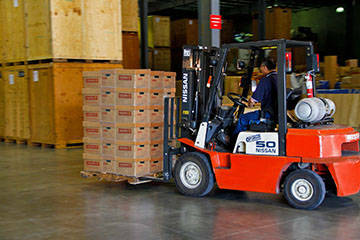 They had been with the provider for many years and the services included shredding, off-site storage and media storage. Crown Records Management Hawaii first made contact through ARMA Hawaii. After our initial meeting, we submitted a bid for their destruction and media. In discussions, we discovered that their primary challenges were their provider’s inability to adjust to their new vendor agreements and a lack of flexibility with scheduling. After several months of discussion and negotiation, all parties agreed upon a length of agreement, price and rotation for destruction. The agreement was signed in September; the engagement started in February. The solution for this customer’s requirements was quite easy. Crown’s ability to have flexible scheduling won over their main objection as we do not have a scheduling requirement for destruction. Also, our legal team was able to adjust to their requirements. We’ve transitioned the customer to Crown and have been servicing them since February 2015. Media Management will soon follow. We are also addressing the possibility of an additional engagement for their entire off-site records needs of approximately 4500 cartons once their current agreement expires. The outcome for the customer is exactly what they were looking for: A certified destruction partner with the ability to accommodate a flexible schedule instead of using the every two/four week model. The flexible schedule is much more efficient for both the client and Crown: the client saves money by not having service performed on non-full consoles and Crown performs more efficiently by only servicing the client when requested. Since the start of service, the feedback has been overwhelmingly positive regarding the level of service from our front-line people and on the ease of requesting service by email.